McClanahan Powers ÃÂ® is a Virginia-based Law Firm specializing in civil litigation, general business counsel, IP, data privacy & estate planning. Based in Fairfax County, Virginia, near the legislative and intellectual property hubs of Washington, D.C., the firm represents clients nationwide. Fixed Fee Contract Review, Legal Consultations, Various Transactional Services, and Business Startup Packages; Contingency Fee (Plaintiff - conditional). $250.00 - $400.00 per hour. McClanahan Powers is a Virginia-based Law Firm specializing in civil litigation, general business counsel, IP, data privacy & estate planning. Mr. Powers is experienced in transactional business and nonprofit law, intellectual property law, employment law, estate planning, and entertainment law. He has negotiated and drafted several multi-million dollar contracts involving patent licensing and assignments, business acquisitions, asset purchases, wills and trusts, and pre-litigation settlement matters. In addition to a vast array of transactional experience, Mr. Powers has litigated matters involving business disputes before Virginia Circuit and Federal Courts; trademark disputes before Virginia and District of Columbia Federal Courts as well as the Trademark Trial and Appeal Board (TTAB) of the United States Patent and Trademark Office; copyright and other intellectual property disputes before Virginia and District of Columbia Federal Courts; and employment matters before the Department of Labor and Virginia Federal Courts. Throughout his practice of law, Mr. Powers has worked and negotiated with and litigated against several American Law 500 international firms. Through his education and experience Mr. Powers has gained both the knowledge and the cunning necessary to provide world class legal service to his clients. A native Floridian, Mr. Powers enjoys spending time on the ocean, watching football, new technology, reading, traveling and spending time with his family and friends. 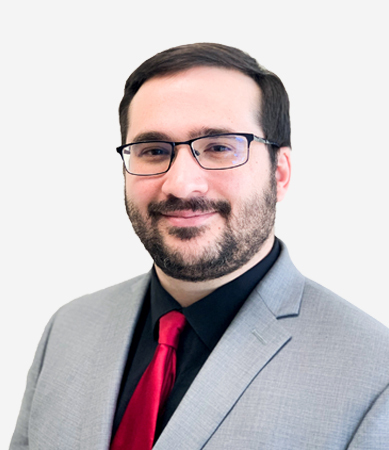 Mr. McClanahan is a Fairfax, Virginia native who was trained at Michigan State University College of Law, a top ten academic program for intellectual property law. Mr. McClanahan provides knowledgeable and compassionate legal expertise to individuals and businesses in a variety of legal issues including business law, employment law, intellectual property, litigation, and negotiations. Mr. McClanahan has successfully litigated matters in Virginia federal and state courts, including several multi-million dollar claims. He represents individuals and businesses, both large and small, to ensure that their legal rights are protected and enforced. 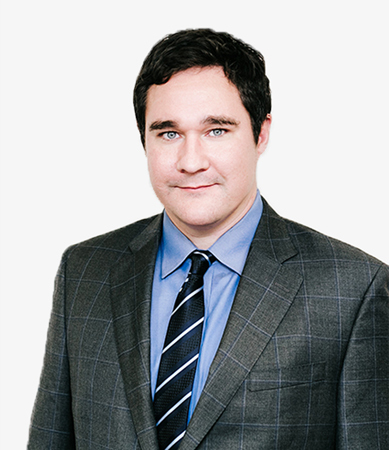 Throughout his practice of law, Mr. McClanahan has worked with and litigated against several AmLaw 500 international firms, having taken part in cases with legal issues ranging from intellectual property licensing, business acquisitions, and contract enforcement and defense. In addition, Mr. McClanahan has assisted clients in business planning and growth, as well as, advocating on clients' behalf during business negotiations. 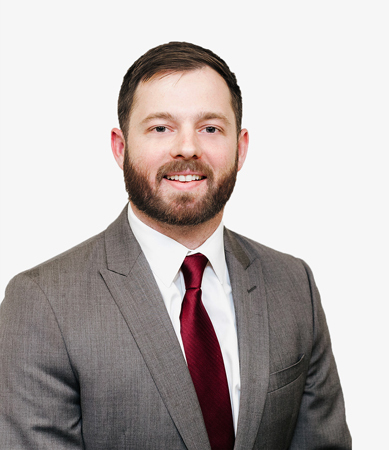 Mr. McClanahan uses his experience as a litigator to advise his clients on how to setup and maintain compliance and to draft and revise contracts to better protect their interests. A life-long Washington D.C sports fan, Mr. McClanahan enjoys watching his favorite teams, traveling, and going to the movies. Mr. Miller has assisted individuals and businesses of all sizes in a variety of legal matters throughout Virginia and the District of Columbia. Mr. Miller has successfully represented numerous clients obtain substantial judgments both at trial and through settlement. He has also notably defended businesses before the United States District Court for the District of Columbia and the United States District Court for the Eastern District of Virginia against employment related grievances, including claims arising under Title VII of the Civil Rights Act involving discrimination matters; the Family and Medical Leave Act; and the Americans with Disabilities Act (ADA). A Merit Scholar graduating in the top 15% of his class, Mr. Miller is a graduate of DePaul University College of Law. As a Fairfax, Virginia native, Mr. Miller completed his undergraduate studies closer to home at Virginia Tech and returned to the Fairfax area shortly after completion of his legal education. Prior to joining McClanahan Powers, Mr. Miller worked at a civil litigation firm where he represented businesses and individuals in a wide range of contract, construction, employment and commercial disputes. Mr. Miller has successfully pursued claims under payment bonds and warrant-in-debts throughout the Virginia state court systems. An avid outdoorsman, Mr. Miller enjoys hiking, hunting and fishing in his spare time and is a strong supporter of the Virginia Tech Hokies. Mrs. Harris has assisted both plaintiff employees and defendant employers in a variety of employment law and related business matters throughout the Washington, D.C. Metro Area. Prior to joining McClanahan Powers, Mrs. Harris supported in-house counsel for a family of international service companies and worked at an employment law litigation firm where she represented and advised employees in a variety of legal matters. Mrs. Harris has successfully assisted in and negotiated the settlement of several legal disputes arising under Title VII of the Civil Rights Act involving discrimination matters; the Family and Medical Leave Act (FMLA); the Fair Labor Standards Act (FLSA); and the Americans with Disabilities Act (ADA). Mrs. Harris uses her experience to advise her clients on how to maintain compliance with both State and Federal laws, as well as how to better protect their interests. A native Virginian, Mrs. Harris enjoys hiking her beloved Appalachian Mountains, traveling, attending concerts, and cheering on the Virginia Tech Hokies. Mrs. Lopez-Knapp held the position of Electronic Health Systems Manager at a large neurology practice prior to attending law school, which sparked her interest in health and business law. After law school, Mrs. Lopez-Knapp served as the Honorable David Bernhard’s first judicial law clerk at the Fairfax County Circuit Court. She has successfully assisted in defending clients in complex business litigation.